Sting and Shaggy Releases New Music Video for “Gotta Get Back My Baby” | WATCH! 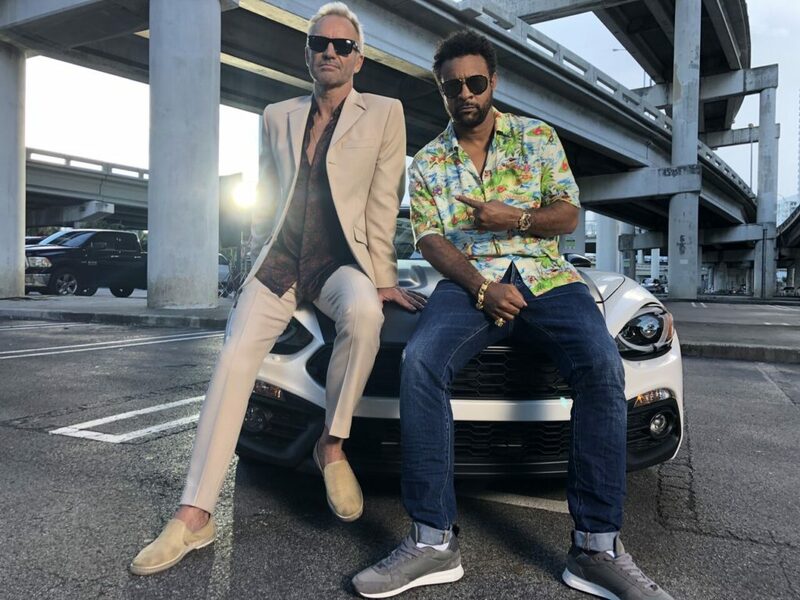 Sting and Shaggy are excited to unleash the official video for ‘Gotta Get Back My Baby’ featuring Golden Globe-nominated actor Steven Bauer (Scarface/Breaking Bad) and directed by Michael Garcia. The track appears on Sting & Shaggy’s collaborative album 44/876 (Cherrytree/A&M/Interscope Records), which to date has spent sixteen weeks atop Billboard’s Reggae chart. While in the US, Sting is currently at No. 1 on Billboard’s Hot R&B/Hip-Hop Songs chart and No. 2 on Billboard’s Hot 100 with Juice WRLD’s “Lucid Dreams” which samples “Shape of My Heart,” written by 16-time Grammy Award winner, Sting and his longtime guitarist, Dominic Miller.